Ferrari World Abu Dhabi, is the world's first Ferrari theme park and largest attraction of its kind. It will be an intense multi-sensory experience and a must-visit for enthusiasts, fans and families. The Park pays tribute to the passion, excellence, performance, technical innovation that Ferrari has established over the years and represents today. Its iconic sleek red roof is directly inspired by the classic double curve side profile of the Ferrari GT body, spanning 200,000 m2 and carrying the largest Ferrari logo ever created. Ferrari World Abu Dhabi hosts a number of attractions, including rides for children of all ages, providing the complete Ferrari experience: over 20 state-of-the-art attractions, each designed to bring to life a different part of the Ferrari story, including the world's fastest rollercoaster, travelling at speeds exceeding 200 km/h and emulating the thrilling sensation of being in a Ferrari F1 car, or the G-force experience taking passengers on an adrenaline-pumping ride up over 62 m, through the roof and back down again. The Park is located on Yas Island - set to become a global tourist destination with a wide range of accommodation and entertainment facilities - on the North East side of Abu Dhabi's mainland. Abu Dhabi, at the crossroads between Europe, Asia and Africa, was chosen as the ideal location to build the Ferrari theme park, motor sports being extremely popular in the United Arab Emirates. Ferrari World Abu Dhabi will offer a unique and intensely fun way, together with a wide variety of Italian delicacies and of course unique shopping experiences. 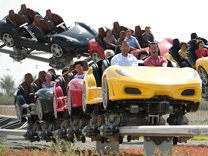 This ticket provides unlimited access to all rides and attractions of Ferrari World Abu Dhabi. The tickets are now Bronze, Silver & Gold and the park is open daily, even on Mondays. The ultimate world of year-round LEGO® themed adventures for families with children aged 2-12. LEGOLAND® Dubai will feature over 40 interactive rides, shows and attractions and 15,000 LEGO model structures made from over 60 million LEGO bricks. LEGOLAND Dubai will feature six themed lands, each unique in their experience, entertainment and educational offering, including: LEGO CITY, KINGDOMS, IMAGINATION, ADVENTURE, MINILAND, and FACTORY. 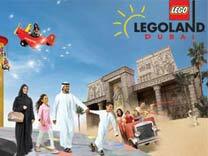 LEGOLAND Dubai will be the first LEGOLAND Park in the Middle East. 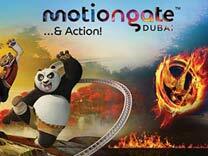 MOTIONGATE Dubai is the place for Hollywood-inspired fun and adventure in the Middle East, inviting guests of all ages to step into the magical, mythical worlds of some of cinema’s most beloved movies. Uniting three legendary film studios in one theme park - Sony Pictures Studios, DreamWorks Animation and Lionsgate - visitors will go beyond the screen and immerse themselves in the magic of Hollywood, ensuring fun for the whole family year round and creating memories to last a lifetime. With nine family-friendly restaurants, 15 themed retail outlets and a multi-purpose theatre, seating 1,000 guests, as well as multiple kiosks offering light bites and merchandise throughout the park, visitors have a full range of choices for dining, entertainment and relaxation beyond the rides and attractions. As part of its full-service offering, MOTIONGATE Dubai is enhanced with smart technology, smart queuing, shaded walkways and offers full access for visitors with mobility impairments. Bollywood Parks Dubai is a first of its kind theme park showcasing the authentic Bollywood experience. Bollywood Parks Dubai will recreate the Bollywood experience through themed attractions and rides spread across five zones: Bollywood Boulevard, Mumbai Chowk, Rustic Ravine, Royal Plaza and Bollywood Film Studios featuring Hall of Heroes. Bollywood Parks Dubai’s flagship offering is the 850-seater Rajmahal Theatre that will be home to a Broadway-style, Bollywood -themed musical. During the day, the park will have up to 20 live shows across seven stages: Rock On! 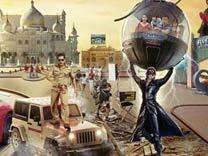 !, Crossroads, Mumbai Express, Rangmanch, Stars on Steps, Cinema Circle and Rajmahal Theatre. The park will also offer six themed restaurants that capture India’s mouth-watering culinary offerings and eight retail outlets stocking quintessential filmy fare. IMG Worlds of Adventure is Dubai’s first mega themed entertainment destination promising visitors from around the world the excitement of four epic adventure zones in one location. World largest indoor theme park. Two of the four zones represent renowned global brands Cartoon Network and MARVEL, while IMG Boulevard and the Lost Valley – Dinosaur Adventure zones are original concepts created by the IMG Group. It Covering area 1.5 million square feet. 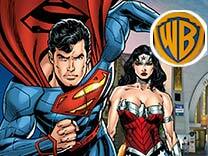 Capacity of IMG is world adventure is 20,000 guest a day. The destination featuring a unique array of adrenaline-pumping roller coasters, thrill rides, and spine-tingling attractions based on popular Cartoon Network characters, iconic MARVEL Super Heroes and hair-raising dinosaurs. Additionally, the destination is the home to a number of world-firsts, a variety of themed retail stores, exclusive dining venues, and a 12-screen state-of-the-art cinema. Cartoon network is one of the zones and based on Cartoon Network. It Contains world first 5D Ben 10 cinema. Marvel is another themed zone based on Marvel Characters. The feature of the zone 3D media based attractions. 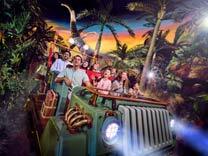 Lost Valley Adventure is an original intellectual property created for IMG worlds of Adventure. This zone created based on animatic dinosaurs and roller coasters. IMG Boulevard is the fourth zone and welcomes and sets up guests for the other three zones.